Two fools in love: Need I say more? He got up and moved to the couch last night. I felt sort of bad. Not bad enough to get up and move to the couch at 3:00 am (I mean he *was* already awake), but bad enough to put a little effort into making an apology card to send him. 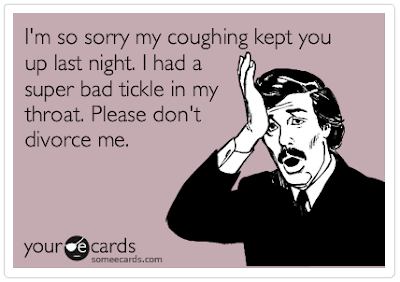 I hate it when one of us has the coughs! So annoying - whether you're the cougher or the coughee (? ).